With a Positive Chattitude and Confidence in Yourself, Anything is Pawsible! Cheeky Chats are Cute Cats whose mission is to empower girls through knowledge and inspire them to believe in themselves and their abilities. Cute Cats meet Girl Power in this inspiring app for girls of all ages. This interactive book app features adorable Cheeky Chats kitty cats and real-life role models. Available on iTunes and Google Play and Amazon. Check out our new Cheeky Chats store for adorable cat t-shirts and gifts featuring fun and inspirational messages for girls of all ages. Our Cheeky Chats book of Empowering Wisdom for Girls is where it all began. It is the inspiration for our app and the mission of the Cheeky Chats brand. Available now on Amazon. APPS FOR GIRLS OF ALL AGES. Make your friends laugh and smile with these super cute, motivational and inspirational stickers of the adorable Cheeky Chats cats. With 60 unique stickers you can say some totally pawsome things to your friends and family. Inspire them with messages like “Nothing is Impawsible” and “Dare to Dream” or just spread the cheer with stickers about love and happy days. The adorable Cheeky Chats kitty cats are all about building confidence & inspiring girls to believe in themselves & their abilities. Show off your purrfectly pawsome chattitude with these cool Cheeky Chats emoji stickers for iMessage. 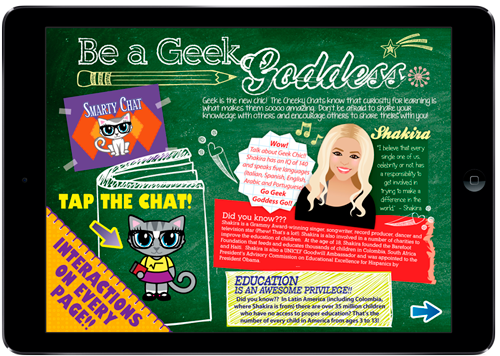 Introducing the Cheeky Chats totally pawsome interactive book app of empowering wisdom for girls! 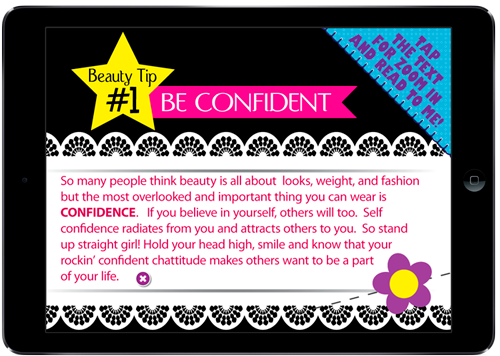 This interactive book/app featuring the adorable Cheeky Chats kitty cats & real-life role models is all about building confidence & inspiring girls to believe in themselves & their abilities. Full of totally “pawsome” facts and cool quotes each two-page topic encourages girls to broaden their horizons and take the initiative in learning new things. It encourages them to be curious and adventurous and have the courage to be original and blaze new trails. Interactivity on every page – press a blinking cheeky chat and see what happens! Mini quiz games throughout the app and fun facts. Zoom in mode for easier reading. Tap the text to zoom. Read to me - tap on any text for "read to me" function. Pages of inspirational content to motivate and encourage confidence. Examples of real-life women who have done amazing things and can serve as an inspiration to us all. An adorable cheeky chat on every page! on iTUNES, GOOGLE PLAY and AMAZON! 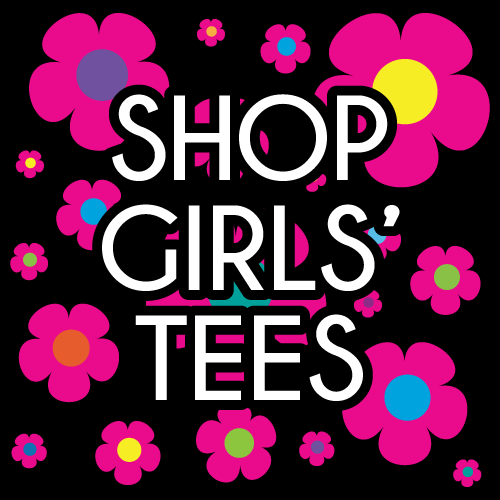 Adorable cat t-shirts and gifts featuring fun and inspirational messages for girls of all ages. The Cheeky Chats have partnered with Zazzle for its impressive product selection to offer tees in your choice of fit and color! An inspirational book for girls of all ages featuring the adorable cheeky chats cats and real-life female role models. This colorful 32-page book is full of fun facts, cool quotes, inspirational stories and cheeky challenges. It is a book to help build confidence, expand horizons and give real world examples of girls and women who are doing amazing things. It’s a book where girls will be encouraged to take the initiative in learning new things, helping themselves and in helping others. Each two page spread in the book covers a specific topic that encourages girls to “do” or “be” something special in their everyday lives. Each spread contains quotes, fun facts and real world examples and ends with a “cheeky challenge” that encourages the girls to do a variety of things. For example, in the “be a global leader” spread, the cheeky challenge encourages girls to be a “citizen diplomat” and to learn new things about another country or culture. In the “make a difference” spread girls are encouraged to find ways to help others whether it is helping an elderly neighbor with groceries or formal volunteering etc. Some of the topics are more lighthearted like “be awesomesauce!” Which encourages girls to expand their horizons by learning to cook something or trying a new food. In addition to the cheeky challenges, each two page spread has so much more such as fun facts, quotes and real world examples of people doing or being something special. In the two page spread titled “be a champion” girls are encouraged to set goals and challenge themselves; whether in a sport, a spelling bee, or a personal goal. The two page spread offers fun quotes and facts about some amazing olympic champions and even gives advice on being a graceful winner. the book not only offers empowering wisdom to young girls but really to girls of all ages. Hopefully, a mom, an auntie, an older sister can also benefit from a little cheeky “chattitude”!